Politics is often compared to sports, with star performers, established fan bases and players on each team. Matt Damon wears blue; Mel Gibson wears red. Rachel Maddow cheers on progressives; Sean Hannity roots for conservatives. It’s tempting to play the same game with companies. Defense contractors like Northrop Grumman surely support pro-military Republicans, while organic grocery stores like Whole Foods must be in the bag for Team Blue. Or are they? FindTheCompany and InsideGov teamed up to analyze data from the Center for Responsive Politics to see where America’s biggest corporations stand. Specifically, we looked at political donations from 2002 to 2015, then color-coded the results in the chart below. Note that the totals include money from individual employees, company-owned political action committees and, in some cases, the treasury of the company itself. The chart does not include “dark money,” which is funneled through nonprofits that aren’t required to report key details publicly. It turns out that most big American companies aren’t team players at all — rather, each gives about the same amount of money to both conservatives and liberals. Why? While the specific reasons vary by company, the overriding explanation is simple: Companies bet on both sides to ensure they remain in the eventual winner’s good graces. They’re not supporting a heart-felt cause or backing America’s next great leader. They’re buttering up the next round of elected officials in order to have more influence on votes and lawmaking. Still, we see a few outliers in the mix. Start with Las Vegas Sands, an American casino and resort company that owns The Venetian and The Palazzo, among many other properties. Since 2002, Las Vegas Sands has contributed more money than any other public U.S. company, and 99 percent of that money has gone to Republicans and conservatives. The explanation: CEO and chairman Sheldon Adelson. The business magnate has poured millions into conservative campaigns — most notably, he dumped more than $20 million into Newt Gingrich’s failed 2012 presidential run. While election law makes an attempt to prevent individuals from wielding so much power, Adelson has taken advantage of every loophole, funneling money through his various companies and contributing heavily to (mostly) restriction-free super PACs. Donors can give as much money as they want to super PACs, but these groups cannot officially correspond with candidates or their staffs. Still, even rank-and-file Time Warner employees appear to lean left. Whether this comes from the company’s Hollywood and media ties, New York pedigree or liberal leadership is anybody’s guess. Apart from outliers like Las Vegas Sands and Time Warner, it’s worth mentioning that Republicans and conservatives still have a slight edge overall, even among the more evenly split contributors. In fact, only four of the top 28 contributors give an outright majority to Democrats and liberals: Goldman Sachs, Microsoft, Time Warner and Comcast. Here, the best explanation is that Republican policies tend to be friendlier to big corporations. Consider ExxonMobil, where over 85 percent of contributions have gone to Republicans and conservatives. The oil company resists liberal-leaning regulation on tax loopholes, so it contributes to candidates who will reliably block such legislation. When it comes down to it, it’s a simple business calculation: spend millions in political contributions to save billions in taxes. A final complicating factor is individual versus organizational contributing. In Time Warner’s case, the majority of contributions come from individuals, while ExxonMobil is the mirror opposite, with over 75 percent of contributions coming from company-sponsored PACs. 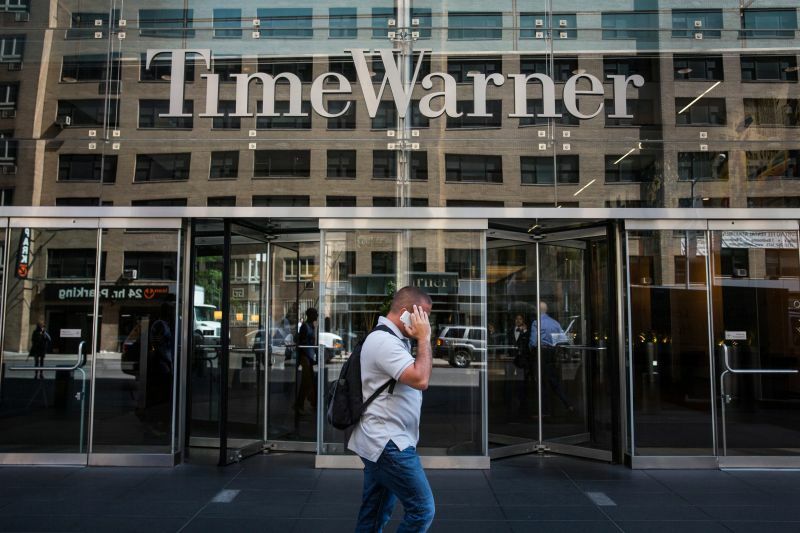 At Time Warner, it’s unclear whether there’s an intentional political strategy at work. With ExxonMobil, however, political contributing seems much more closely tied to company strategy, as the corporation intentionally moves mountains of cash toward conservative super PACs. Still, even this sort of analysis involves a fair level of speculation. For every one thing we do know about campaign finance, there are two or three things we don’t. How much do the executives at each company influence the overall contributing patterns? How much money is funneled through so-called dark money groups? As fun as it is to assign teams, company political contributing is far more complicated than a schoolyard game of basketball. The U.S. political landscape might still be a two-party system, but America’s biggest corporations are playing a sneakier, more convoluted game. The data says that jerseys come in many colors, and none of them are 100 percent red or blue.